Happy Saint Patrick’s Day everybody! As you can see, Daisy is ready to celebrate in style with her super CUTE dog scarf from Dog’s Best Trend. 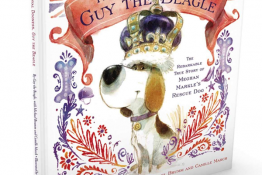 As we’ve mentioned before, DBT offers designs suitable for both girl dogs and boy dogs. Each month they partner with independent designers as well as a different dog charity to support. Get a dog scarf whenever the mood strikes OR sign up for a subscription. Decide for yourself by checking out the DBT website here. This month was really a tough choice because all three Saint Patrick’s Day designs were super cute! 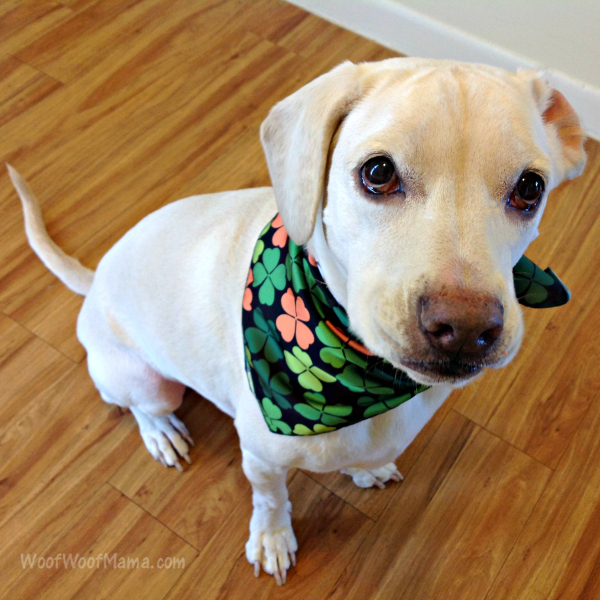 There was a Plaid pattern, a Celtic design and the Shamrock dog bandana that Daisy is wearing. 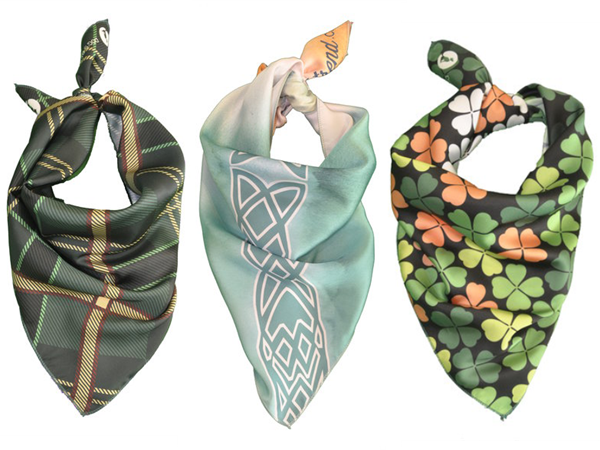 A portion of sales from this month’s dog scarves go to support Golden Retriever Freedom Rescue, a nonprofit and all volunteer rescue organization. Just as we look forward to each new month’s scarf designs, we also really enjoy learning about and supporting different dog rescue groups across the country! 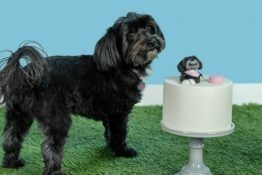 You can drop by the Dog’s Best Trend website to learn more, browse plans and designs to get one for your dog in time for Spring and Easter. 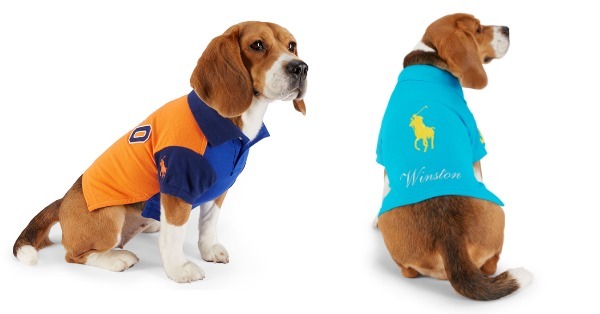 How did it take me so long to discover that Ralph Lauren makes polo shirts for dogs?!? These are the cutest dog shirts and fleeces I’ve seen, and they come in sizes from Small thru Large. 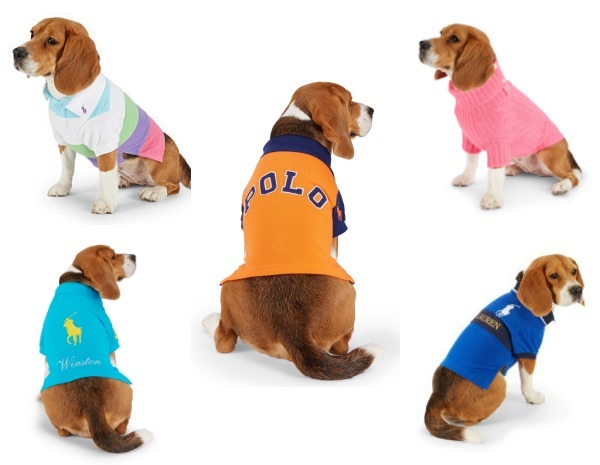 I was just browsing around the web, looking for deals…as I do…and spotted some amazing bargains on sale for stylish pets over at RalphLauren.com. 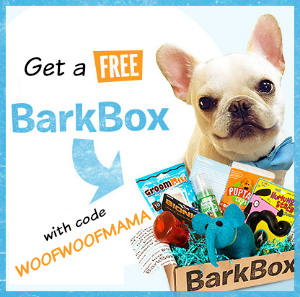 I know it’s a bit early, but now would be a GREAT chance to snag some affordable luxury fashion and gifts for your dog plus the other fur kids on your holiday gift list! Discounts are up to 70% OFF and shipping is free on orders of $125+ with Ralph Lauren Promo Code: FREESHIP125 at checkout. 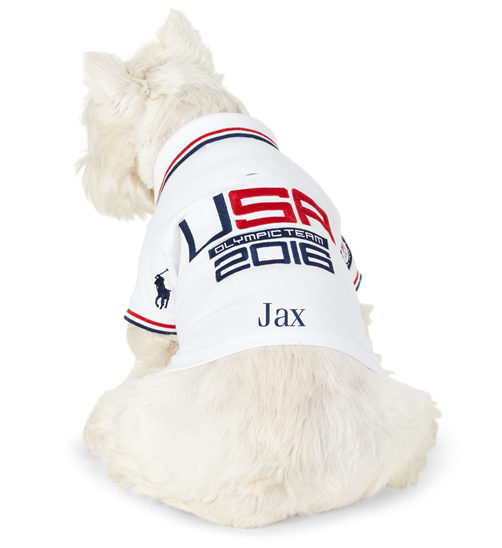 Color-Block Dog Polo shirts start from $14.99 ($45 reg) and you’ll also find Team USA Olympics dog shirts, fleece dog hoodies, and cable cashmere dog sweaters all on sale. 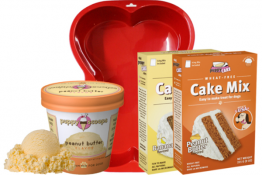 Some items are available for personalization, too! Go HERE to see all the Ralph Lauren Pets sale items. Dogs always choose love, and I believe that we as humans can and should do the same. 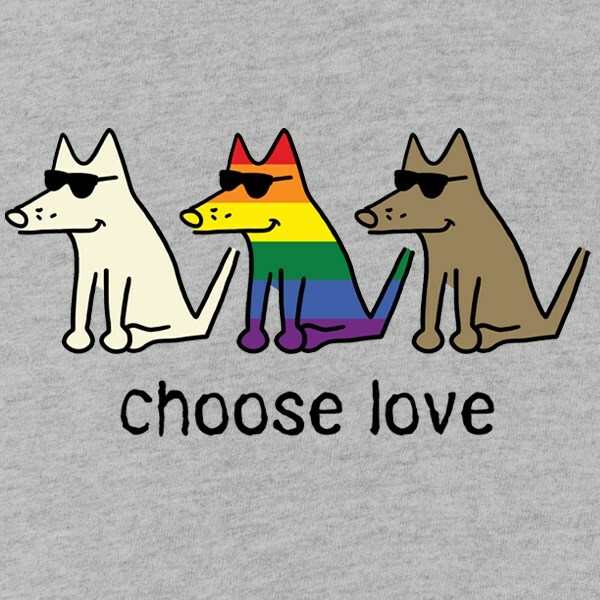 Show that you choose love with this very special Orlando tribute t-shirt from the pawtastic folks over at Teddy the Dog Apparel. All profits from “Choose Love” products will be donated to the Pulse Victims Fund (as such, discount codes are not applicable). Available in both Men’s and Women’s styles, but you must order by 6/20. Orders will begin shipping 6/27. Visit Teddy the Dog to get your tee! Pet parents, Easter will be here before you know it! 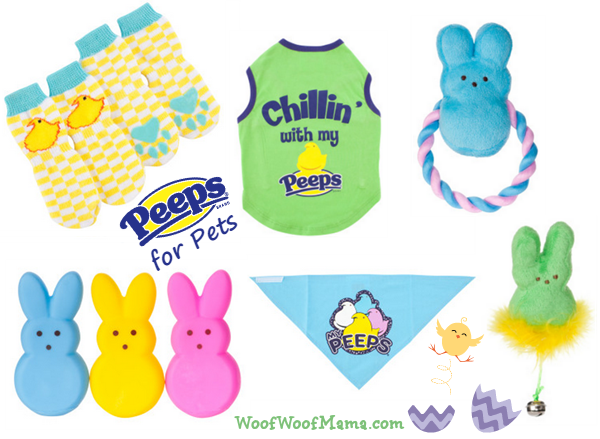 Why not snag some of these super CUTE Peeps toys and accessories for pets and make an Easter Basket for your dog or cat! Click any link below to jump straight to the Peeps stuff for dogs and cats. Love all-things-Peeps??? If you follow us on Pinterest then you already know that one of my most popular and busiest boards is my Peeps Pinterest Board. Be sure to check it out! Feeling crafty? 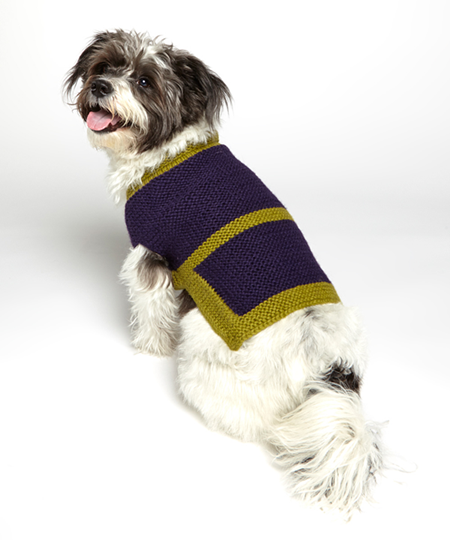 Why not try your hand at knitting a cute new handmade sweater to keep your dog warm this winter! One of the new 3-day sale events happening now over at Zulily.com is the Style Hounds Sale with up to 40% OFF a large selection of DIY dog sweater kits and finished products that are ready to wear and sure to keep your pup cozy and looking cute! My personal favorite is this Plum & Lime Coco’s Cardigan Kit for $34.99 ($56 reg). 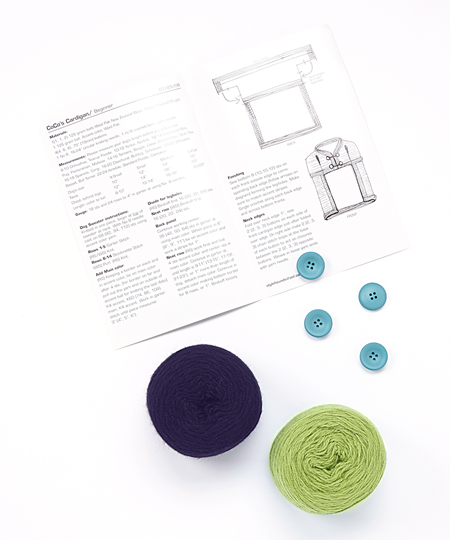 Knit your pup a cardigan made from 100 percent fair trade alpaca with this easy-to-use kit. It provides everything pooches need to stay warm and stylish, from handy button closures to a classic two-tone design. There are several other styles available including button-back dog sweaters, cable knit with zipper and more. 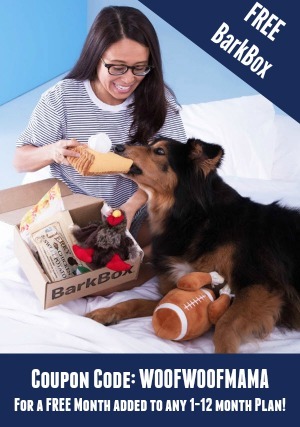 Visit Zulily to see these and more great deals for pets and people!